UPDATED: Mon., Feb. 19, 2018, 8:46 p.m. Approaching my third week of boycotting the 2018 Winter Olympics, I want to say something that, frankly, nobody really wants to hear; in fact, when I brought this up the other night while eating at my parents’ house, my mother told me that I would have to use the drive-thru window the next time I came over for dinner. The Olympics ideal is, well, hooey-and-a-half. Or it will be united by the joy of NBC’s nonstop commercials and spirit of Tonya Harding. Indeed, the cliché is that sport can be a great uniter. In truth, particularly on an international stage, it remains a great divider; the athletes might bond, but back home, their partisans feed off a frenzy of fanaticism. There’s a fine line between national pride and nationalism. Naturally, people should be proud of their roots, whether it be nation, hometown or neighborhood. But this often bleeds into a xenophobic chauvinism, an us-vs.-them mentality, a need to validate ourselves by proving our way of life is superior. The “Miracle on Ice” was much more than a story of an underdog U.S. hockey team upsetting a powerful Soviet opponent. It was a Cold War shaming of our communist enemies: We won. We’re better. We’ll carry the day in the long run. I recently saw a New York Times op-ed by author Steve Almond, in which he mentioned – and reminded me of – George Orwell’s brilliant 1945 essay, “The Sporting Spirit,” that I read in college on one of those rare days where I parked legally and got to class on time. Who’s to argue with a chap who anticipated 1984 35 years before 1984? Indeed, at times I think the Olympics disrupt the world order even more than, say, Logan Paul. To be honest, the Olympics are a façade, a mirage, a charade. They bring us together under false pretenses – the triumph of the human spirit, fair competition, abundant diversity. Abundant diversity? 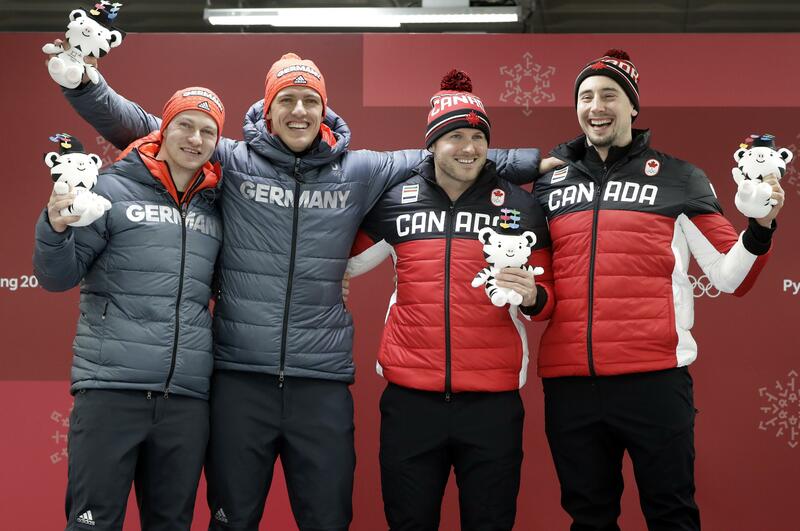 Heck, the Winter Games are whiter than a Martha Stewart dinner party. In a vacuum, athletic achievement can be inspiring, but too often – and much too often at the Olympics – it is overwhelmed by widespread cheating, by international posturing, by political shenanigans. We’d be better off breaking bread with one another than facing off – a communal table beats a cross-check every time. If you want to bring the world closer, we should share potato spaetzle soup, dakdori jungol and tonnarelli cacio e pepe family-style, with Parker House rolls. And I’d wrap up the night with a game of Twister – now, that brings people together. A. Actually, the team equipment manger is handling that. A. If they added poker as an Olympic sport – all the doping in the world can’t make you play better – I’m all-in, baby! Published: Feb. 19, 2018, 6:55 p.m. Updated: Feb. 19, 2018, 8:46 p.m.